In fairness, the bureaucrats who, um, work here didn’t actually do this, um, work themselves. They paid consultants brontosaurus-sized fees to dream up the name Veloci-RFTA (and cute logo too!). They paid paint companies asteroid-sized fees to paint the buses with the logo. And they paid contractors for the construction of heated outdoor bus stops with oversized concrete eggs. (What am I missing here — doesn’t heating the outdoors contribute to global warming?) Those heated outdoor bus stops with oversized concrete eggs cost a quarter-million dollars — each. While the purse was open and money was flying out, the boss bus guy grabbed for himself an astronomical multiyear bonus — which is specifically not contingent on meeting any performance goals. All this happened at the time that RFTA was cutting actual bus service because, they said, they were running out of money. They cut to the point that local workers commuting from downvalley were forced to sleep on their employers’ floors in Aspen because there was no bus service at quitting time. OK, so now you remember. Well, RFTA just made the big time. 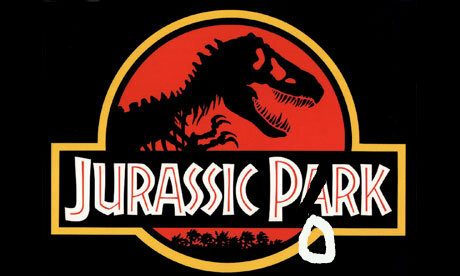 It now stars in “Jurassic Pork.” That’s a title, not a typo. It’s the title of a recent Senate report on government waste. You know, “pork.” You can find the report on the website of U.S. Sen. Jeff Flake, R-Ariz., at www.flake.senate.gov. On page 14 of the report is our own beloved Veloci-RFTA. That’s right, sandwiched between an eye-rolling description of the infamous Alaska pork barrel project dubbed the “Bridge to Nowhere” and a $1.9 billion boondoggle of a train in Seattle is our own Veloci-RFTA. This constitutes the movie debut of me and The Aspen Times, sort of. Kurt Russell, move over! Back to the Senate report. It duly notes that Veloci-RFTA costs about $46 million. That works out to around $300 per rider trip, or $1,000 for each and every person in the Roaring Fork Valley. You might reasonably ask, “How does this happen?” How does the government pay $300 for a rider trip for which local taxis would happily charge $30? One way is through earmarks. When Congress passes a bill, you see, politicians lard it up with special favors for their own constituents. Congress has banned these “earmarks” for several years but politicians, being very crafty at politics, find ways around the bans. No. It’s not free money, but just money that came from taxpayers far away. Not really. If they pay for our pork, then we pay for their pork. It becomes a porcine arms race to see which pig can eat fastest at the trough while we borrow money from the Chinese to pay for it all. Is it right for taxpayers in Biloxi, Mississippi, where the schools are bad or in Detroit where the housing is bad or in Rifle where the sushi is bad to pay for the residents of one of the richest towns on the warming planet to amuse themselves with silly logo’ed buses and quarter million-dollar heated outdoor bus stops? This entry was posted in Uncategorized and tagged Jurassic Pork, Pork barrel, RFTA, Roaring Fork Transportation Authority, veloci-RFTA by onthebeatontrack. Bookmark the permalink.